awwww thank you!!!!! its really good! keep up that artwork! Thanks! I am excited to see it! Oops. I accidentally made it so it won't show who voted! 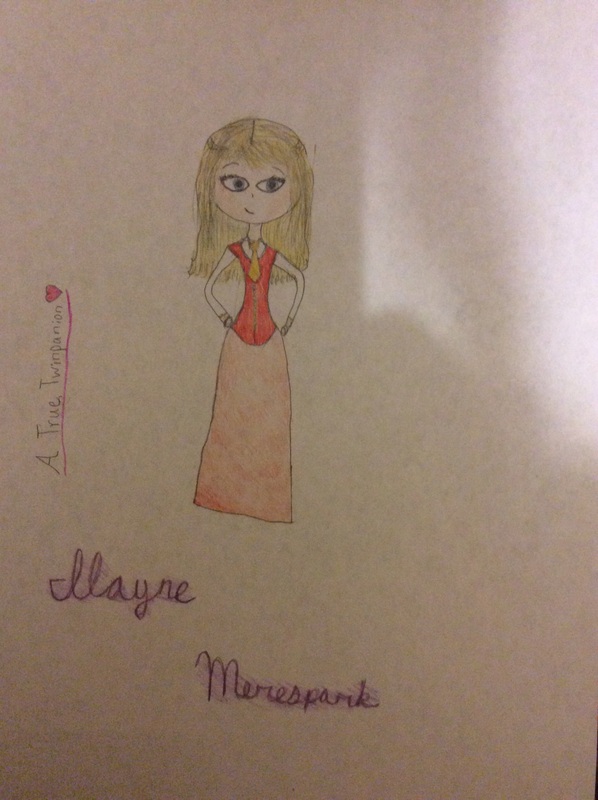 @Ilayne_Merespark, I drew you! It'll be on in a few days. Or hours. And we're in! @Ilayne_Merespark, here you go! The blond and beautiful twinpanion! OOOH! That is good! Thanks for drawing me @Emily_Purplebottle! Yay! Thank You very much @Rachel_Blackruin! I love it @Emily_Purplebottle!!!! Thanks!!!!! Does anyone wanna draw me?